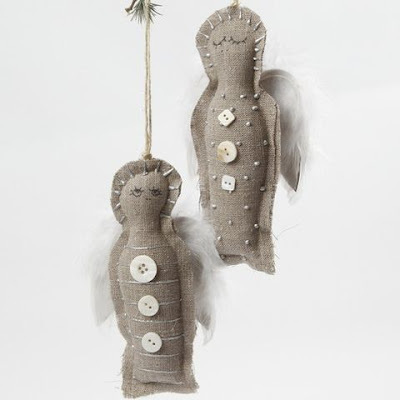 These small angels are made from linen and decorated with a pearl pen and mother-of-pearl buttons. Finally, a pair of metal wings covered with white feathers is attached to the back of the angel. 1. 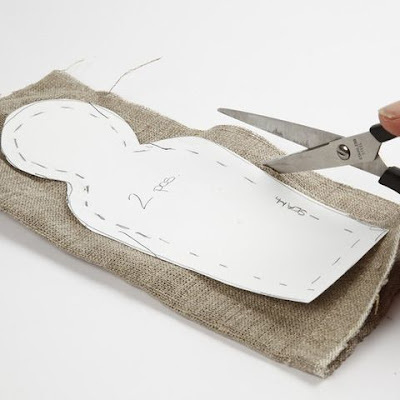 Cut out the angel using the template. Please notice that the seam is included in the template. 2. 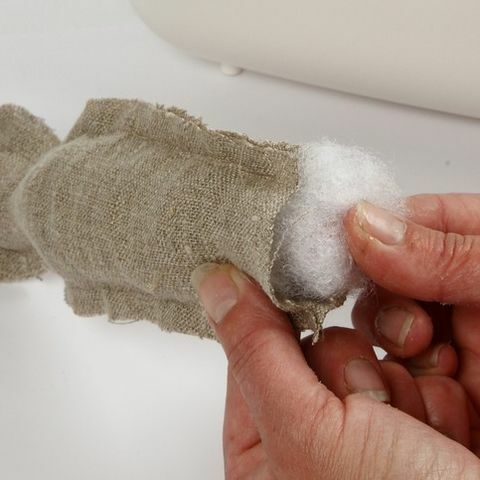 Sew the two sides of the angel together leaving a 1cm seam. Leave the base open for stuffing. 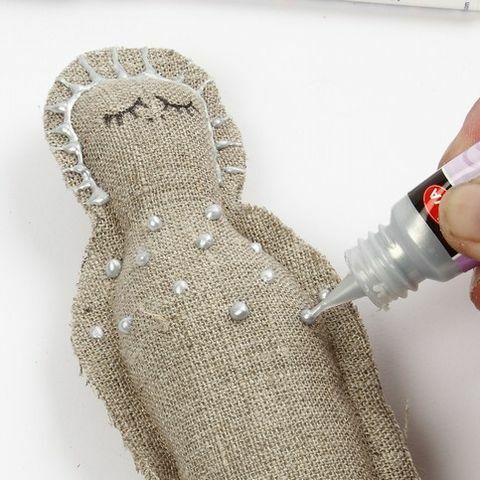 Fill the angel with polyester stuffing and sew to close the hole. 3. Decorate with a pearl pen and draw a face. 4. 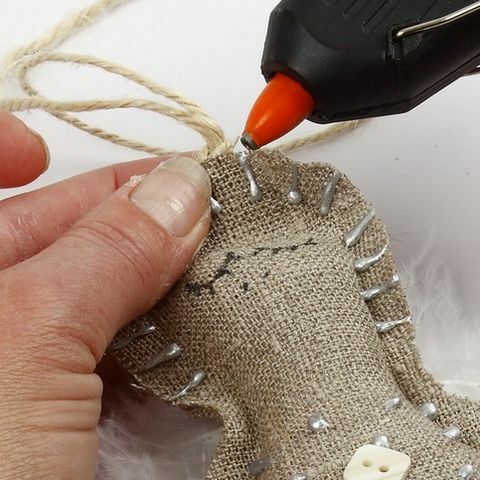 Use a glue gun for attaching the buttons, the wings and the string for hanging.